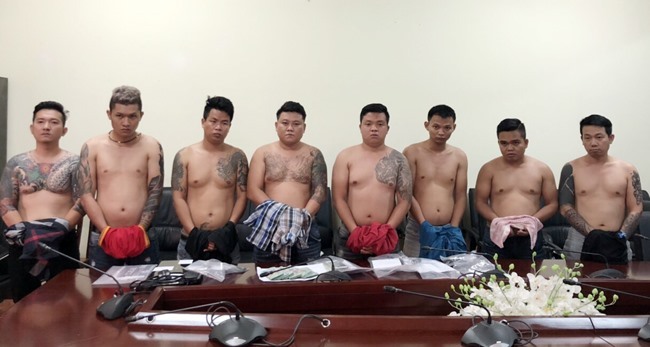 HCM CITY — Thirteen members of an organised crime group in HCM City involved in illegal gambling and high-interest lending were apprehended on Tuesday, according to police announcement released on Thursday. Police said the group was based in District 9 and Thủ Đức. Its members were asked to recruit ‘players’ from HCM City and several other localities in the country to take part in online betting on football matches, virtual cockfighting and số đề – a form of outlawed gambling based on the State lottery – on bong88.com and agl30k30k.net. Several accounts were found to have outstanding debts of up to VNĐ100 billion (US$4.3 million). The Department of Criminal Police under the Ministry of Public Security confirmed they had arrested ringleader Lâm Thanh Vũ (nicknamed Vũ ‘Rose’) and his associates at Tân Sơn Nhất Airport in HCM City after they flew back from Phú Quốc Island in Kiên Giang Province, where they supposedly held parties and collected money. At the same time, police raided 14 locations including cafés and private residences. Multiple computers, cellphones, three cars, VNĐ800 million ($34,500) and documents related to the gambling operations were confiscated. Police said Vũ ‘Rose’ refused to confess to his crime or disclose passwords to access his computer, personal cellphones and online accounts.